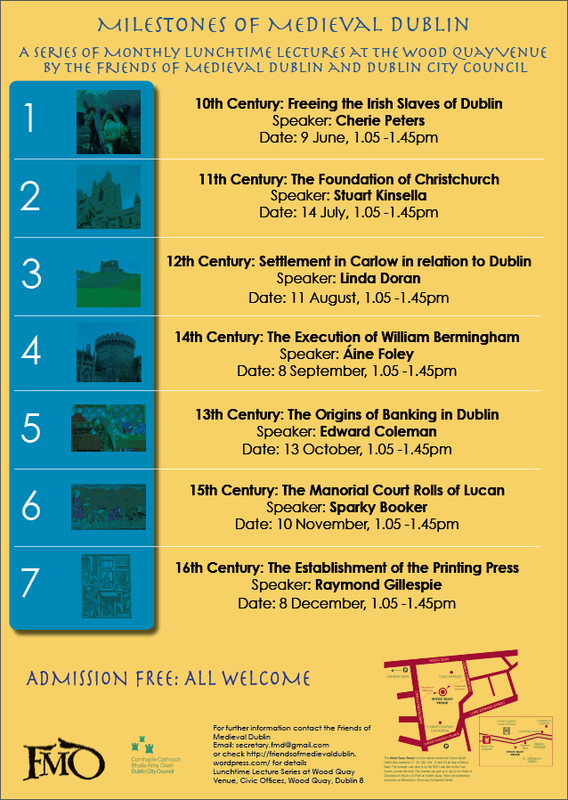 At the conclusion of the very successful Tales of Medieval Dublin lecture series the Friends of Medieval Dublin decided to continue offering lectures in partnership with Dublin City Council. The new series, Milestones of Medieval Dublin, focuses not specifically on people, but on pivotal moments in the history of medieval Dublin. Renowned experts describe the invasions, battles, famines and plagues that medieval Dubliners had to deal with make this one of the most fascinating cities in Europe. 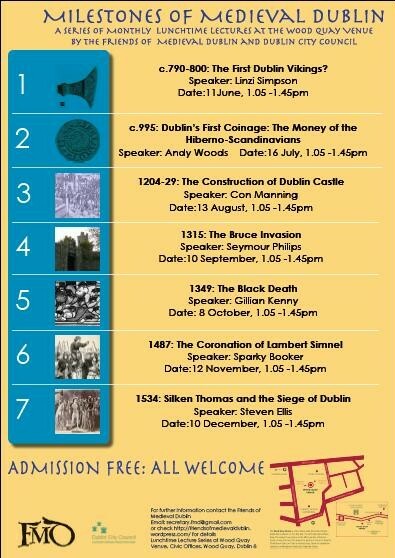 Milestones of Medieval Dublin is a unique opportunity to discover how events like the arrival of the Vikings and the Anglo-Normans helped shape our city. All lectures begin at 1.05pm and take place at the Wood Quay Venue of Dublin City Council (see below for map). No registration is necessary, entry is free and all are welcome!